Expect the Yellowstone to gain some color. Purple Haze’s, Parachute Adams and Royal Wulff’s have been working if the fish are willing to rise a little bit. Nymphing has been good with a combination of flies including a Rubberlegs, Wooly Bugger, small Sculpin, San Juan Worm, Midge Pupa, Baetis Nymph, or Firebead Rainbow Weight Fly’s. The majority of fish are still in the deep holes and soft inside corners or soft banks. 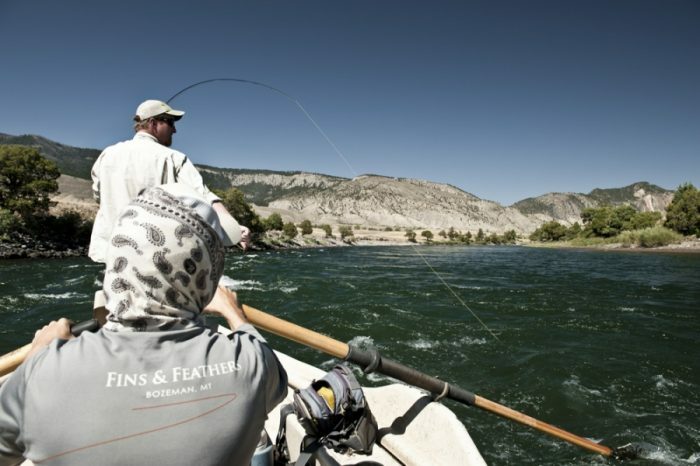 The best chance for good dry fly fishing and or streamer fishing has been the area around Corwin Springs to the Park boundary. As far as we know all the boat ramps are accessible but you should probably double check with the shuttle company before you commit. To read their full report, click here.